My recent Febuary 09 trip to Istanbul, Turkey. Sorry it wasn't a diving trip but I will try to dive the next time, as I will return to Turkey. I had a great time and saw a small cross section of the country. The food was fabulous. I sure you'll like these images. 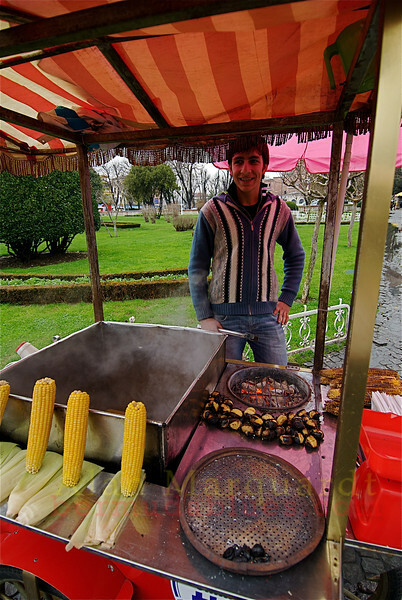 A vender outside of the Topkapi Palace, Istanbul, Turkey.